My family took a vacation to Las Vegas to watch Boise State football’s bowl game the weekend before Christmas. I was eager to go, knowing it was the Killer’s hometown so of course there would be cool Killers-related stuff to see (and I guess the football game would be fun too). Before going, I did some internet research on what to see- I figured someone had to post a Killer’s fan guide to Vegas. I was not disappointed. I want to hugely thank Dani at The Sponge– I don’t know you but I think we’d get along, not to be creepy or anything- who wrote the most fantastic thorough guide you could ever write to Las Vegas, aptly titled A Victim’s Pilgrimage: The Killers Fan’s Guide to Fabulous Las Vegas. 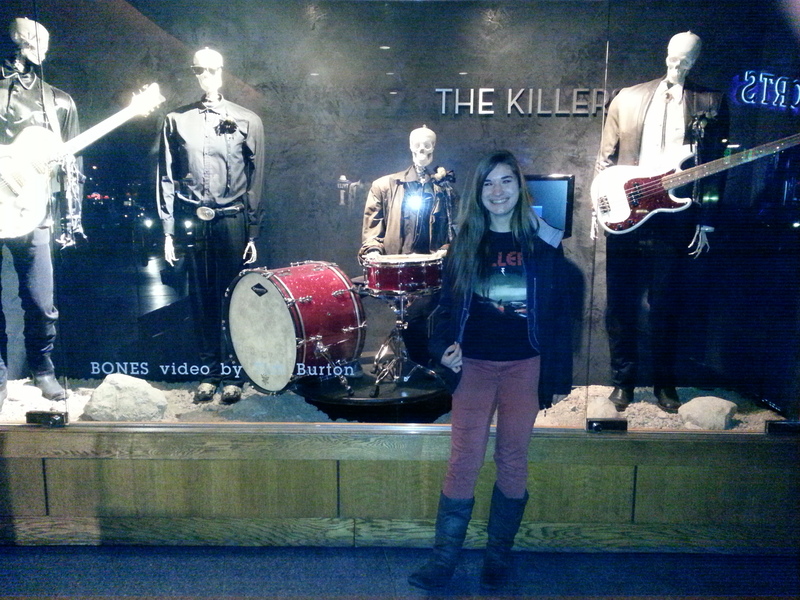 She describes it as “the Killers fan’s Mecca” and let me tell you, its right on the money. 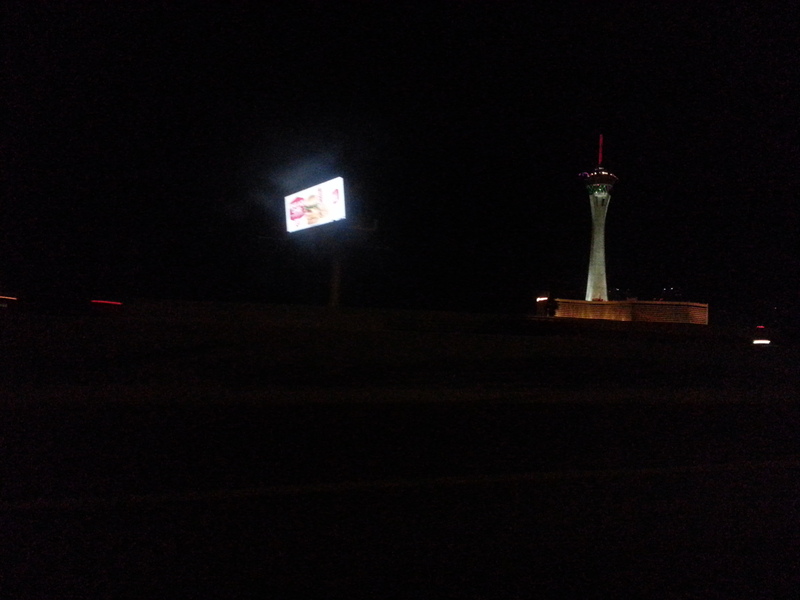 Just getting there I could see how the Killers have been influenced by their city and their state of Nevada. Their music screams of the desert and neon lights. Now, if I would’ve been on this vacation alone, and had a few more days, I would’ve been to a lot more places on her list. But at the same time, I didn’t want to feel like a creepy stalker. So mostly I did the traditional things. Above: First sight of Vegas through my car window. 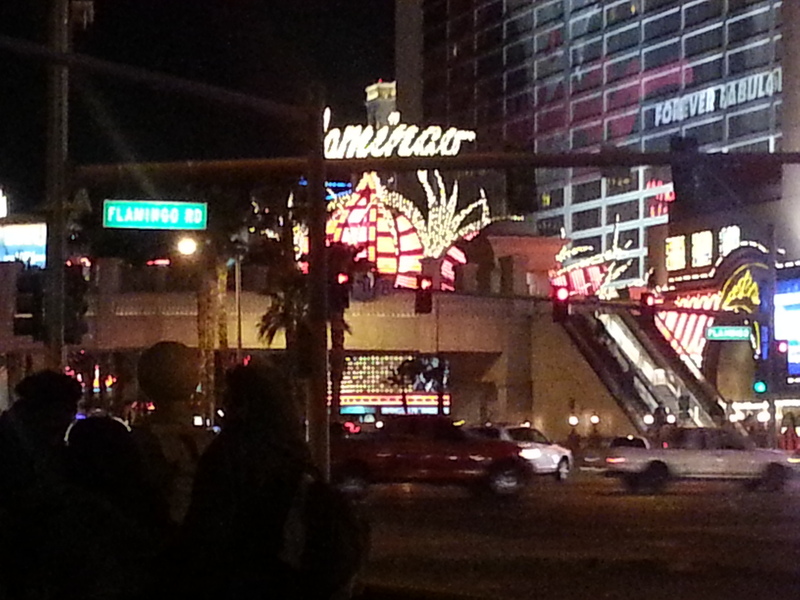 I was listening to “Welcome to Fabulous Las Vegas” by Brandon Flowers, of course. And I’m wearing the shirt I got at the Killers show in Portland. I’m pretty sure I didn’t take it off the whole time I was in Vegas. 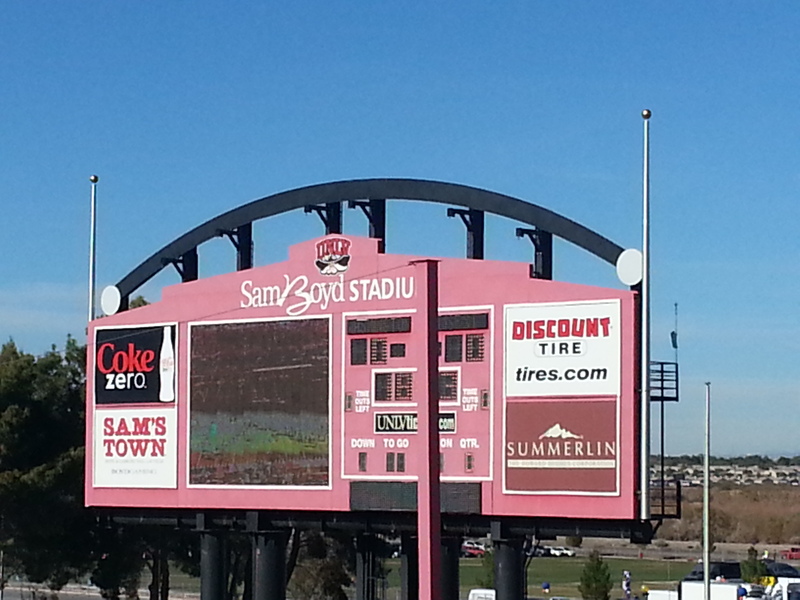 Looking back, I realize that I completely forgot about the Sam’s Town tour sign that also hangs in the Hard Rock. Sad… well, I will see it next time. And in this one below- the Killers are friends with Elton John, right? I saw in an interview Brandon said he gave Elton John gave him a piano. 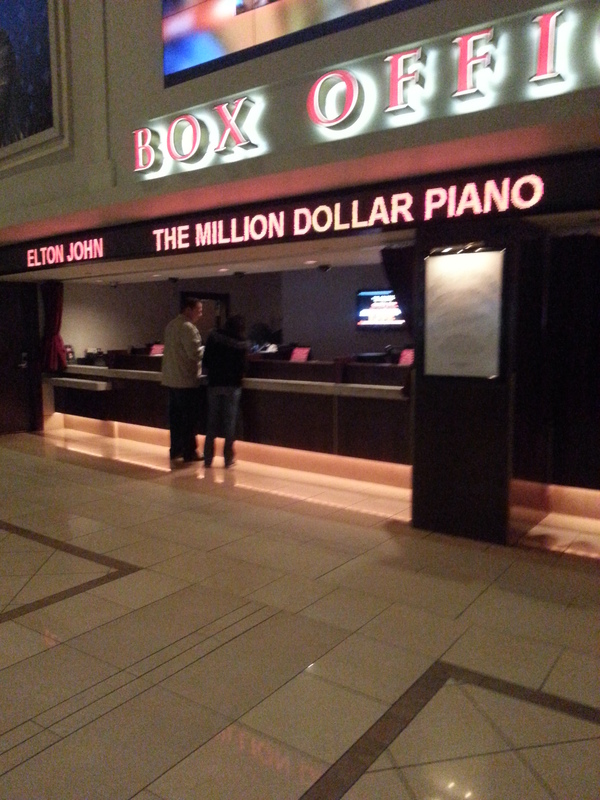 This is where Elton’s show is, I believe. Not to mention, he has some awesome music as well. House of Blues, that’s famous isn’t it? Have the Killers played there at some point in their life? I don’t know, but I took a picture. 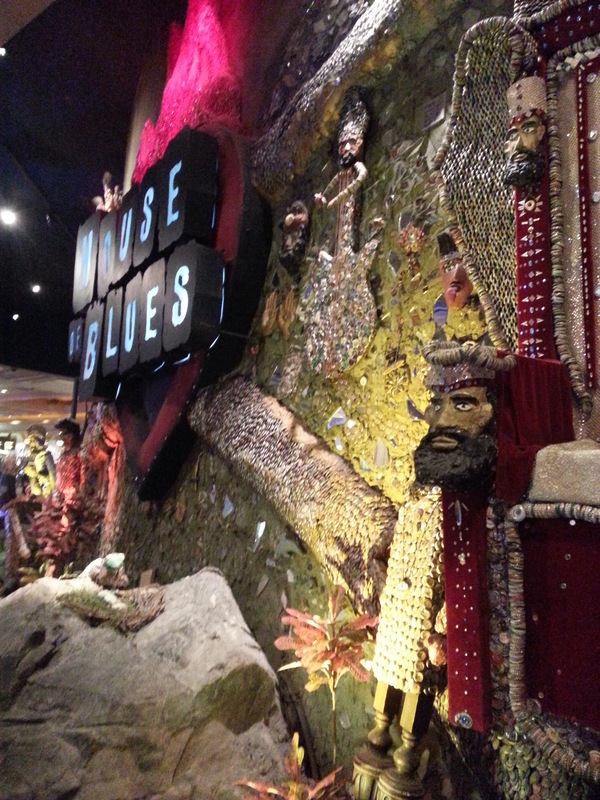 It was actually really neat because the whole exterior decor was created with bottle caps. Okay, so now for a short- I mean long- story where I lament my bad luck. So I visited Vegas on December 23rd. The Killers were playing their first Vegas show in 4 years December 28th and 29th! I missed them by a whole 5 days! I was so upset when I found this out- I would’ve definitely gone and seen them again. (If I had been planning this vacation I would’ve changed the dates!). They were playing at the Cosmopolitan, which was right up the street from our hotel. The first night we were walking the strip and my dad says “hey, look it’s your band”, pointing to a huge sign outside of the Cosmopolitan where it announces the upcoming Killers concert. After jumping up and down, I go to take a picture… and the screen changes. I proceed to stand there for about ten minutes waiting for the Killers picture to come back so I can take a picture, greatly annoying my whole family. It never comes back. As we walk away, I walk backwards so I can watch the sign. It never comes back. The next day I walk by the same sign and watch for the Killers. Never comes back. Or the day after that. I am fully convinced that that screen showed the Killers once ever and I just happened to catch it at a magical moment the first time I walked by. It infuriated me the whole trip! It’s possible that I was truly infuriated that I couldn’t go to the concert and I was using the sign as a scapegoat. Okay, story over. Last but not least, what was possibly my favorite Killers-related thing I did this trip. It was the single not-strictly-touristy and felt more like an “experience” of something the Killers do every Saturday night than just looking at their statues in the Hard Rock that I doubt they ever visit. 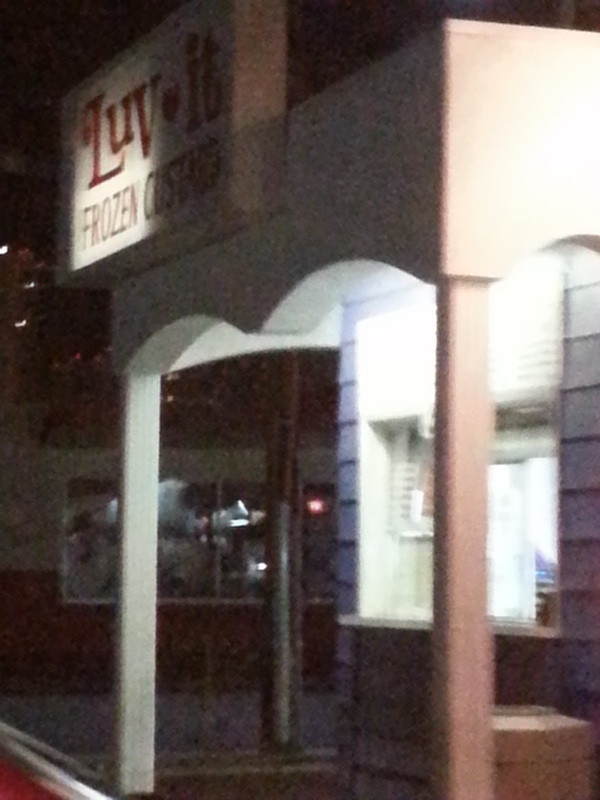 We visited Luv-It Frozen Custard. If you didn’t know, the Killers have talked about it multiple times as being amazingly delicious. And it was! -visit the Neon Boneyard… this one is HUGE on my list because I am fascinated by history and Vegas in general. If I would’ve had more time I would’ve definitely gone here. 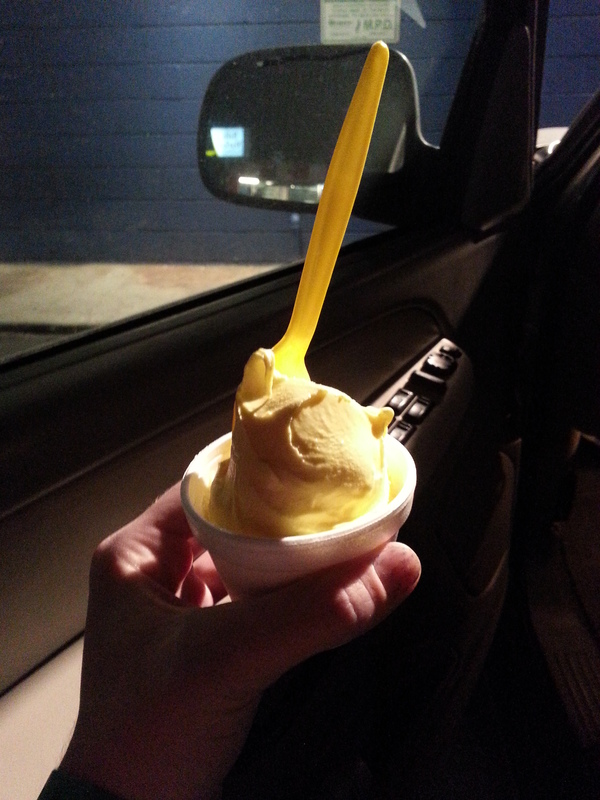 – visit Henderson and try to find Brandon’s house. Okay, that’s creepy. But visit Henderson? Yeah, I’d do it. -go to Buffalo Exchange, where Brandon met Tana, yeah I feel a little creepy about that one too. There are a ton of Killers recommended restaurants I’d love to visit- a few are Sushi Roku (at Caesars), Los Tacos, the Peppermill, to name a few.